According to metaphysical sources, Shungite is sometimes called the "Stone of Life" due to its healing and antibacterial properties. It is estimated by scientists that Shungite is almost 2 billion years old. It is found in very ancient layers of the Earth’s crust that were formed before life forms existed on Earth. Shungite (especially when used in water) purifies, protects, normalizes, induces recovery and promotes growth in living organisms. 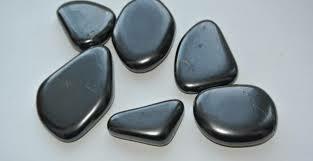 Healers use shungite to alleviate a wide variety of physical complaints such as heart difficulty, allergies, skin diseases, arthritis, hair and skin rejuvenation. 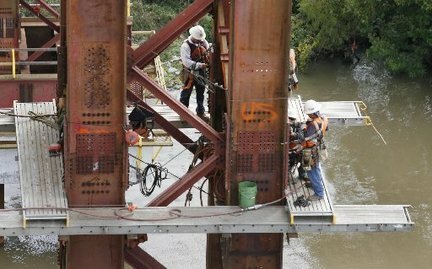 As a former sandblaster and bridge worker for the railroad, I spent many years in water, dirt, grime, bird droppings and specialized metallic and non metallic paint, in addition to being surrounded by the abrasive sand. Over time, my skin was thoroughly abused, always dry, and constantly itchy. I always seemed to be predisposed to getting skin rashes at the drop of a hat. Most creams and lotions gave me little relief. (In fact the only one that actually worked for me was this one.) I was constantly fighting a defensive struggle dealing with the annoyances of my skin. Now I realize that most of you will be skeptical regarding so called metaphysical benefits and claims, especially when they are regarding a rock! I would expect that you would feel even more so, when the remedy is one that seems so simple. I don’t blame you. I was initially skeptical myself. However, my nature is to be open to all possibilities, and I believe that the earth is filled with a multitude of plants, foods and “others” that are designed to work for our benefit. With that mindset, I decided to give this stone a try. What I did was simply place a piece of Shungite in a bottle of clean water and let it sit overnight. The next day I poured off the water and drank it, placing more water in the bottle with the stone to repeat the process. After several days of this, I suddenly realized that somehow I just "felt better." Then I noticed that my problem skin areas were smoothing out, and that the itchiness had disappeared. One week after drinking the Shungite infused water, the rash on my arm was gone! While I appreciate the metaphysical benefits from the use of this wonderful crystal, I am gratified to know that there was a scientific basis behind them as well. Even better, I now have my own personal experience. Shungite can be found at local specialty “rock shops” or “crystal stores.” It comes in a variety of forms including fancy polished pyramids and spheres. A two inch piece of tumbled stone can be purchased for anywhere between $3 and $10 depending on the store, but there are deals to be found, including bags of small rough unpolished specimines at reasonable prices. You can also find it on the internet, but as with everything on the web, make sure you find a reputable dealer. Since Shungite is non toxic, the "direct method" of immersion can be used. Before doing anything else, once you get your very own piece of Shungite home, use a mild detergent and make sure you wash and rinse the stone thoroughly (remember many people have handled it before you got it). Once you have cleaned it, place your stone in a glass or plastic bottle and fill it with 32 ounces of fresh water. Place the bottle in a window to catch the sunlight, and leave it undisturbed the rest of the day. In the morning, pour off the water into another container and drink it throughout the day. If you prefer, you can also refrigerate the water to make it more palatable and refreshing. Refill the bottle with the Shungite with more water and repeat the process. Many people use Shungite to create a healing spa in the home by placing it in bath or wash water. 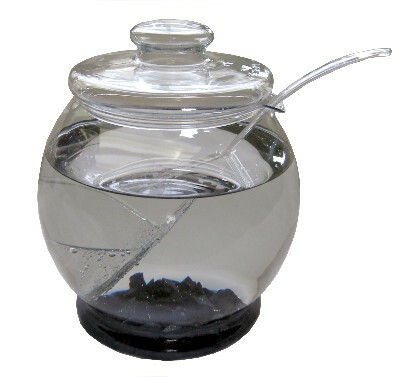 To make larger quantities of the Shungite gem elixir, get a larger container and add more (or larger) stones and water. 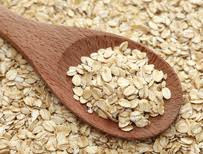 For more information on how to make gem elixirs, including use of the "Indirect method" for friable stones and those containing heavy metals, click here. 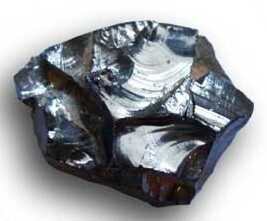 This amazing stone is very promising, and I plan to continue my regiment of drinking Shungite water to see what else it can do for my body. Perhaps it truly can help with my arthritis. I invite you to do the same. It certainly can't hurt. 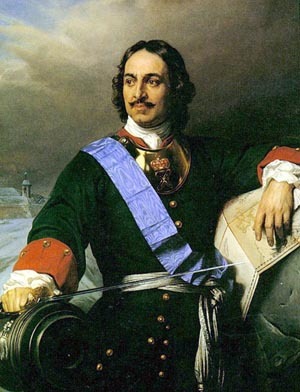 Besides, if it’s good enough for Peter the Great, wouldn't it be good enough for us? 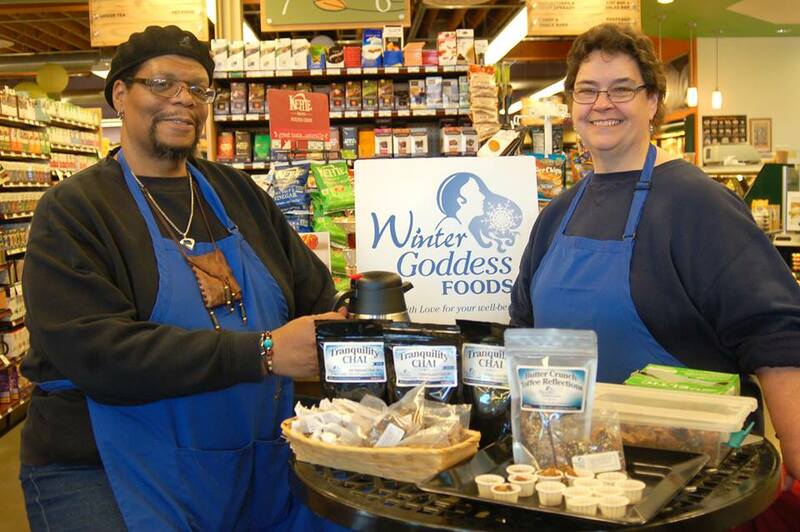 I'm often asked about my journey into becoming an organic foods purveyor. When that happens, I oftentimes pause before answering, because so many things entered into this decision. It encompasses so much, including support of my wife Terry who founded Winter Goddess Foods, my own physical disability, the need to find an alternative to traditional employment, and my own personal disgust toward corporate America's devaluing of the meaningful contribution of individual workers. It also includes my own growth in discovering how to listen to my body, and the importance of recognizing what is good for it as well as what is not. Suffice it to say it is very complicated. The pinnacle reason why I enjoy doing what I do stems from a meeting I attended back in 2008, when I worked for the Behavior Health arm of a major medical insurance company. I was charged with providing coverage information to providers and to our subscribers, as well as alternatives in the case of non coverage scenarios. Typically I would be assisting family members, caregivers, and the patients themselves, and since it was the Behavioral Health branch, at times I found myself enmeshed in crisis situations (suicide threats). At that time there was a real push toward being "customer oriented" and actually caring for the person on the other end of the phone line, as opposed to spouting information, and terminating the call. "After I finish my work day, I go home, step into my office and I get real quiet. I review the events of my day, and then ask myself, 'Did you make a difference in someone's life today?'" My mind was completely blown when I heard him say this! I thought to myself, "Wow! What a wonderful way to live and think. 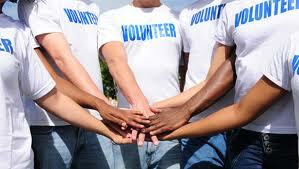 Instead of clocking in to get a paycheck, I can choose to adopt a lifestyle of service to others." Now whether this was his heartfelt belief and practice, or just a bold strategy from management 101 to re-direct our attitudes towards the job, I will never know. Frankly it was irrelevant. For my entire life, all I ever wanted to do was something that mattered, and to be of help to people. I immediately bought into this idea, and went all in. I don't even remember the rest of the meeting. All I focused on was the revelation that yes, my job IS to help people. Even more importantly, I have the opportunity to actually make a difference in someone's life on a daily basis. I was ecstatic, and from that day forward entered each work day with thankfulness and renewed vigor. From that day forward I loved my job! With renewed focus, I did everything I could to help my callers, and in the days that followed, management began to take notice, and in time I gained a reputation for displaying exemplary customer service, and received a number of accolades and citations for my hard work. Unfortunately, several months later, the director who inspired me was transferred into a new position, and I never saw him again. After he left, the corporate philosophy changed, and I was heartbroken. Fortunately for me (and for you!) I have never forgotten this man's words. an opportunity to make a difference in someone's life. Now to be sure, saving someone from committing suicide, or rescuing a child from a burning building are certainly worthy of note. But you don't necessarily have to be a First Responder in order to help someone. 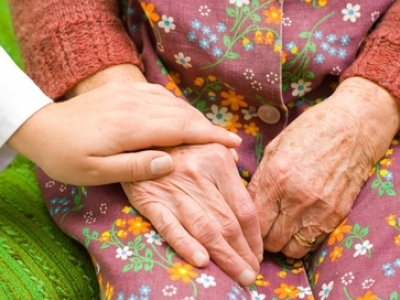 There are certainly less dramatic ways to make a difference, which are just as important. Getting involved in your community can be of great benefit to the neighborhood. 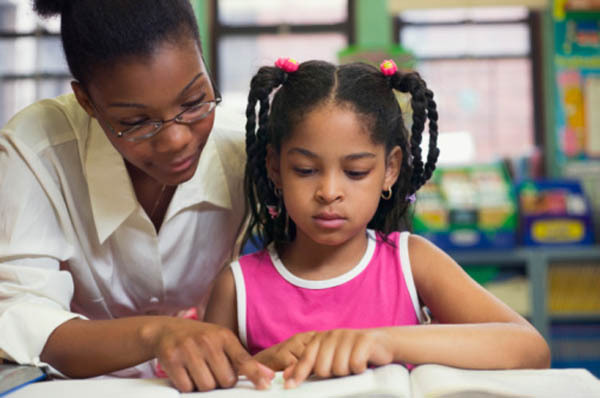 Supporting a cause dear to your heart, performing volunteer work for a charity, or helping a child to learn to read are all worthwhile endeavors, and there are so many other things that can be done. 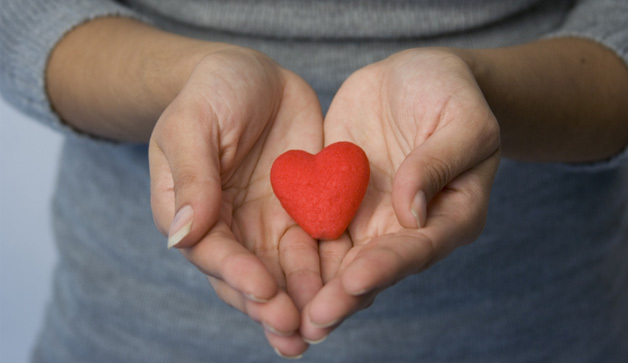 Not only do you help others, but you also gain that good feeling of knowing you are doing good. 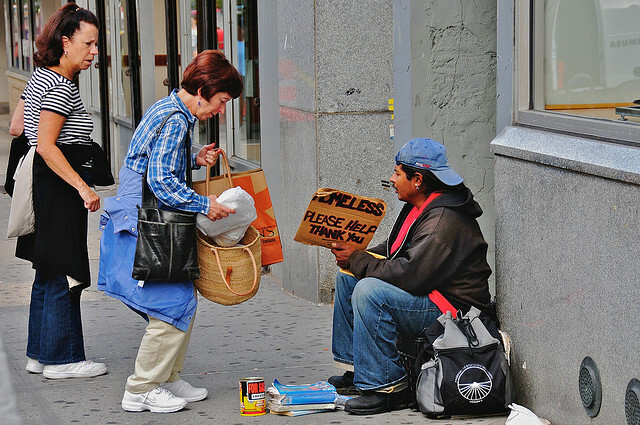 Even a simple smile or kind word to a stranger can have far reaching effects on their lives, far beyond what we could ever know. To this day, I do everything I can to adhere to this simple message, and incorporate it in all aspects of my life, including when I am preparing our Winter Goddess products. Since there is power in food, I believe that my good intent and positive energy translates into food and drink that are "Made with Love for your well-being," and can in some small way make a difference in your life as well. I gain great satisfaction from living this way, and I highly recommend that you give it a try. Remember, you don't have to save the whole world, but maybe, just maybe you can effect one person in a positive way. Have you made a difference in someone's life today? Neotame - not marketed under any brand name yet. It is new. In doing my research to better understand sweeteners I learned that there is a great deal of controversy around the topic of artificial sweeteners. But there are some irrefrutable facts. To begin with all artificial sweeteners are much sweeter than natural sweeteners. The comparison is usually made with sugar. If we look at aspartame for example, we find out that it is 200 times sweeter than sugar. Aspartame does have calories, as do all the artificial sweeteners, but because it is so sweet, very little is needed. Consequently that can of diet soda has no calorie count. The human body does not metabolize artificial sweeteners, so no calories are absorbed when consumed. This brings us to the question of whether or not artificial sweeteners are harmful to the human body. There is no conclusive information availabe on the side effects to human by artificial sweeteners. While studies on animals indicate negative side effects, these don't show up in humans. Individual complaints are anecdotal, and include headache, fatique, rashes, weight gain, nausea, to name a few. MedineNet.com has more information on the pros and cons of artificial sweeteners. Like anything else that we consume, it is best to let moderation be your watch word. In the end, natural is always better. So be mindful, and remember, there are many ways to satisfy your sweet tooth. Let's talk sweeteners, okay? 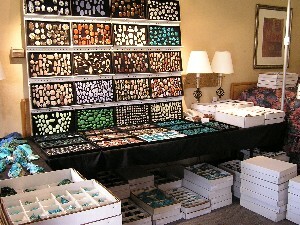 Since the time of the cave people, humans had a natural sweet tooth. We love our sweets. Whether it is from fruit to chewing on a stalk of cane, people turned to sugar for a treat. And there are so many ways to make life sweet, especially in our food and beverages. 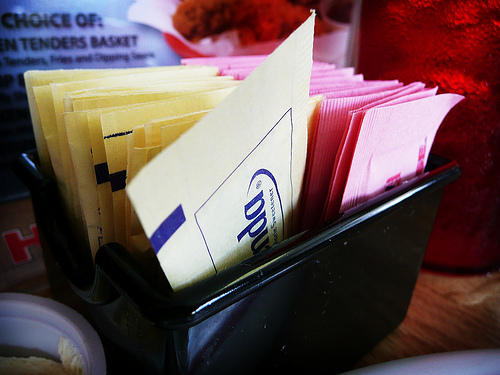 We'll take a minute here and breakdown some common sweeteners that are readily available. 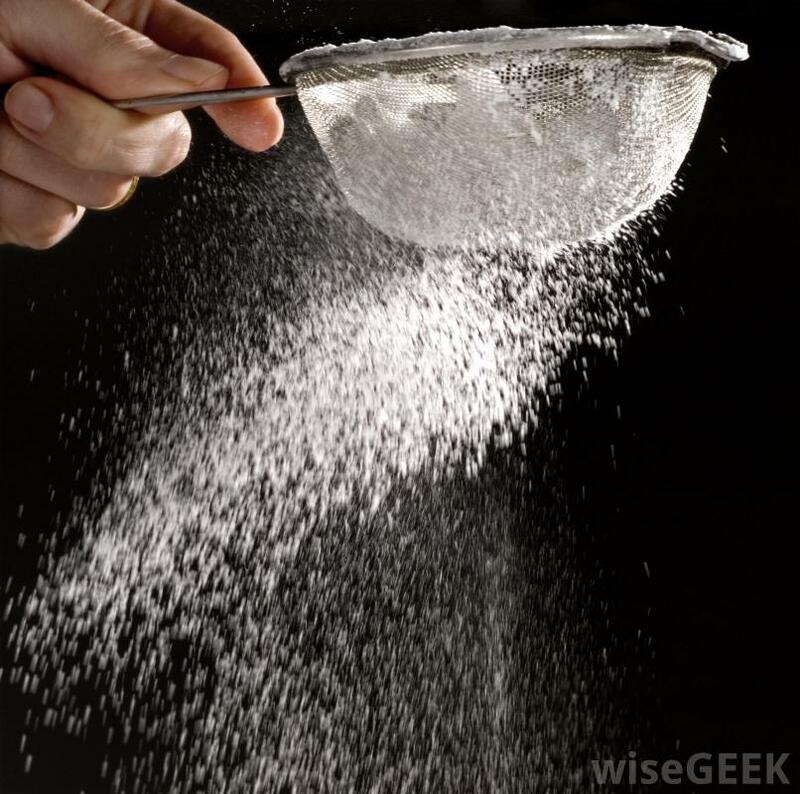 We'll start with probably the most common and recognizable sugars. When you go to the grocery store and walk down the baking section you will see bags and bags of refined white sugar, brown sugar, powdered sugar, maple sugar, and raw sugar. Where does all that sugar come from? The answer is, primarily cane sugar and beet sugar. To the left is sugar cane. This plant is of the leafy variety and grows in limited areas with the US. To the right is the sugar beet. 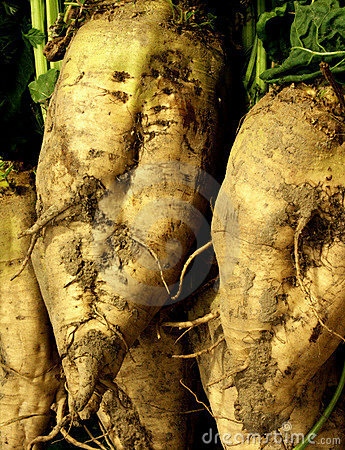 It is a root vegetable and grows in many areas around the US. 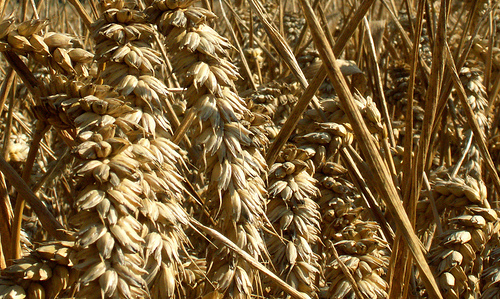 Both plants are processed to produce sugar. Sugar producers are not required to specifically identify which sugar they are packaging. 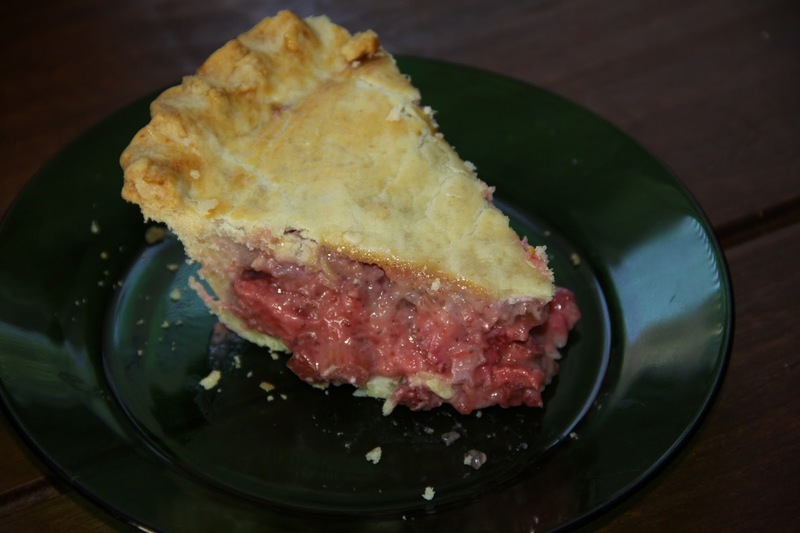 The contravery of beet versus cane sugar is, for some, splitting hairs. Both produce molasses, but the molasses from the beet (not to be confused with the beets we serve for dinner) is essentially inedible. Professional cooks perfer cane sugar as it carmalizes better. 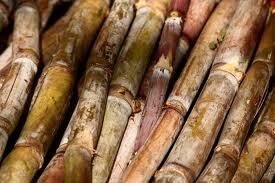 There is a minor difference in the chemical elements of the cane and beet sugar. 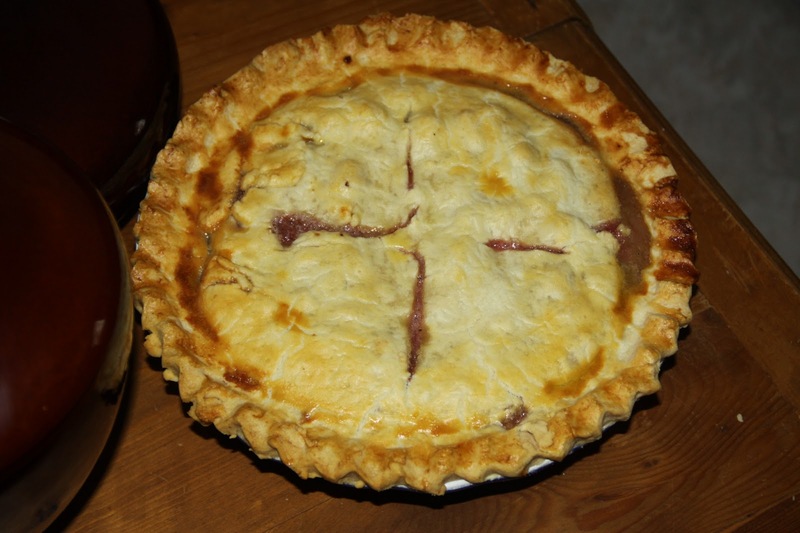 Most people in the know find that difference significant when using sugar in their baking. Here's more information on cane vs beet sugar. 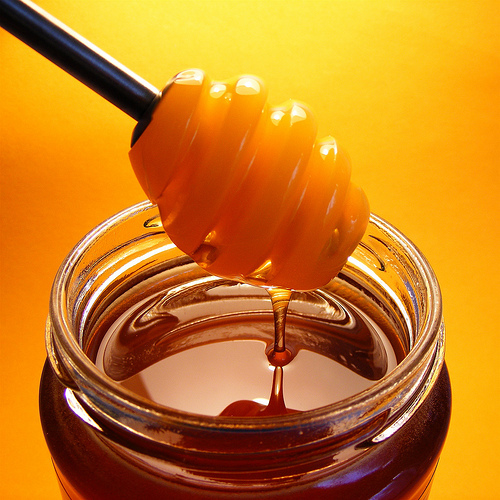 Most sugars have essentially the same nutritional value, which is really rather limited. Refined white sugar simply has all the pulp or molasses processed out. 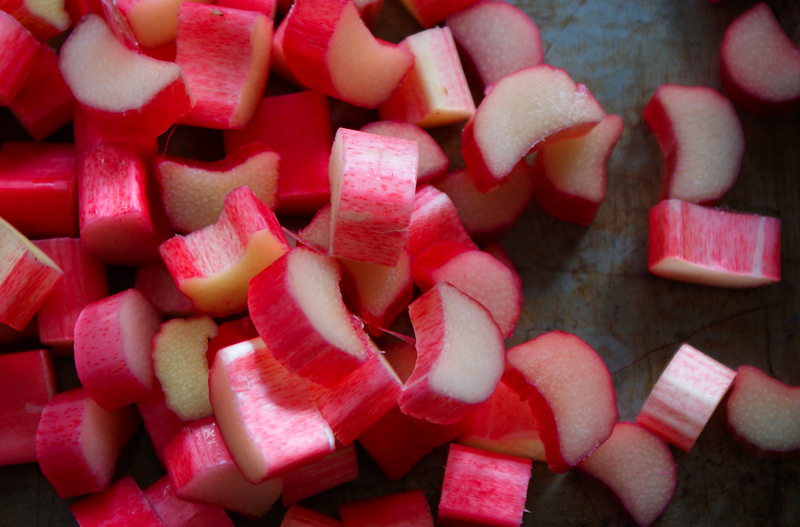 Even sugar in the raw is not truly raw. The fact of the matter is that truly raw sugar is illegal to sell, mainly because of all the impurities it contains like sand, soil, bugs, etc. All sugar sold to consumers has been processed to one degree or another. Have you heard of Turbinado sugar? 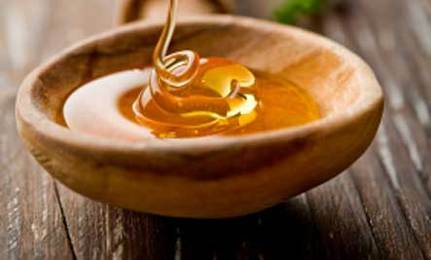 It is raw sugar cleaned just enough to meet legal standards, but might still have impurities. Raw sugar is often simply white sugar with cane or beet pulp/molasses added back in. 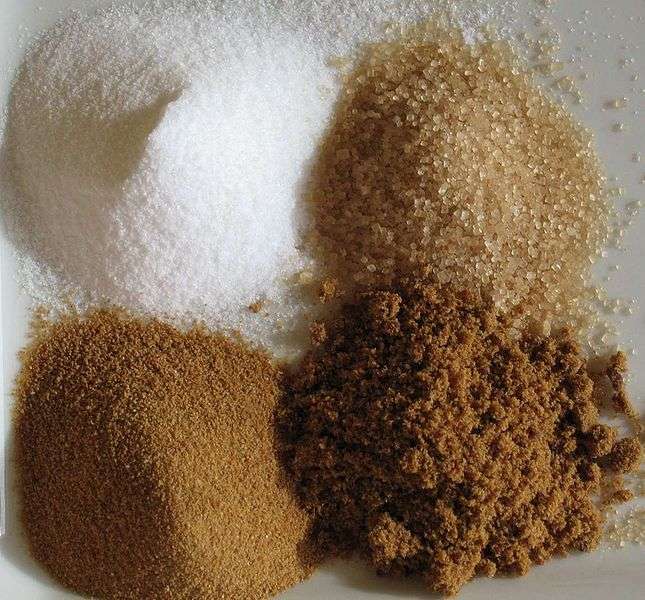 Brown Sugar has been refined for a shorter period of time, leaving some molasses in for color and flavor. Sometimes brown sugar made from beet sugar is simply white sugar with animal bone charcoal added to make it look brown. 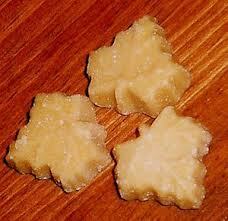 Maple sugar is made from the sap of the maple tree. The sap is boiled down past the syrup stage and all the water has been removed. What is left has crystallized and is now a sugar. It can be found in ground form, but also can be found in small blocks. 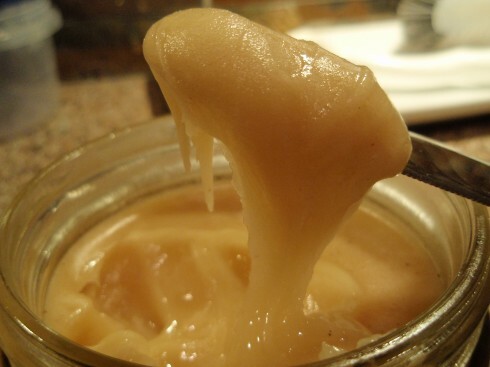 It has a strong maple flavor and can be used just the same as any other sugar. 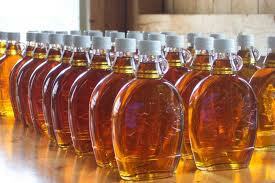 Remember that it will add a maple flavor to your coffee or cookies. Powdered sugar is often called confectioner sugar. This is because it is used in icings and frosting because it dissolves quickly without cooking. 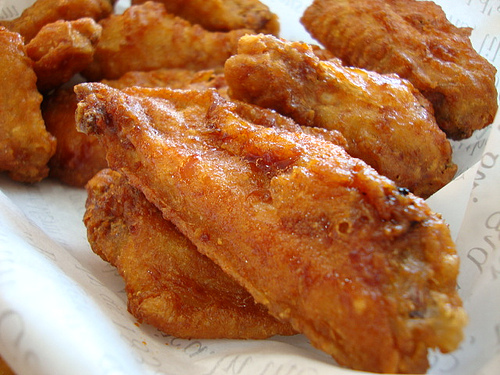 It is very finely ground white sugar and includes corn starch so it doesn't clump up. There are vary degrees of grind on powdered sugar ranging from 10X all the way to 14X, which is the finest grind. The average person doesn't really care about that when shopping for powdered sugar. That is more important to professional bakers. There are a plethora of sweeteners available. 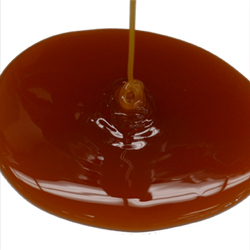 Within the sweetener category are all kinds of syrups and artificial sweeteners, as well. But that's for another blog. So stay tuned. Stay sweet and enjoy your sweet treats in moderation! Although most spices are an excellent source of antioxidants, cloves rank as the richest source of them all. The abundant health benefits of cloves have been well known for centuries. Antioxidants protect your cells against oxidative stress from free radical damage. Free radicals are highly-reactive oxygen molecules in your cells, created as a byproduct of your metabolism; a surplus of free radicals is considered to be the primary cause of the aging process. Protecting yourself against free radicals with antioxidants is the most effective way to reduce the risk of many health problems associated with aging. Antioxidants are known to provide powerful protection against all types of degenerative diseases such as cancer, heart disease, diabetes, arthritis, macular degeneration, Alzheimer's disease, and many more. Antioxidants work together, synergistically, and each one has its own specific characteristics and benefits. One antioxidant may work in places in the body where another one can't go, and neutralize free radicals that other antioxidants miss. Because of this, it is very important to get the widest variety of antioxidants into your system. In this case variety really is the spice of life! In addition to clove's benefit as an antioxident, it also works quite well as a curative for a variety of conditions. Cloves can effectively cure many digestive problems like stomach ulcers, flatulence and dyspepsia, since they stimulate your body's enzymes and boost digestion. Cloves are useful in relieving the symptoms of indigestion and nausea, diarrhea, loose stools, gastric irritability and vomiting. Because of the antiseptic and germicidal benefits of cloves, Aromatherapists often use clove oil to treat the symptoms of rheumatism and arthritis. The aromatic clove oil, when inhaled, can help relieve certain respiratory conditions like coughs, colds, asthma, bronchitis and sinusitis. The analgesic property of clove oil can be used for treatment of various dental problems like tooth aches. Clove oil is also used to relieve pain from sore gums and improves overall dental health. The antiseptic properties of clove oil are why it's a common ingredient in various dental creams, toothpastes, mouth wash, and throat sprays. 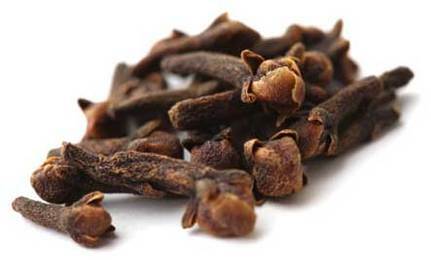 Cloves also contain a variety of flavonoids which contribute to clove's anti-inflammatory properties. Clove and clove oil are antiseptic in nature and work as an effective remedy for some common problems such as cuts, fungal infections, burns, wounds, athlete's foot and bruises. Finally, clove and clove oil boost the immune system by acting as a natural blood purifier. Clove truly is an antioxidant powerhouse! So whether you put a drop of clove oil in your tea or use clove in your favorite pumpkin pie, know that you are doing your body well!